We are excited to partner with you in your child’s spiritual growth. At North Haven we believe in the transforming power of the Gospel, teaching Biblical truth in a fun and safe environment, and are committed to encourage your family through life's stages as we pursue Jesus together. Young children need to feel safe and have fun to learn about God. That's what you'll find in our nursery (infants to age 3) and in our Treehouse (ages 3 to K) areas. Every lesson teaches that God loves them, made them, and wants to be their friend forever. We want these young kids to feel known and loved by God and others! 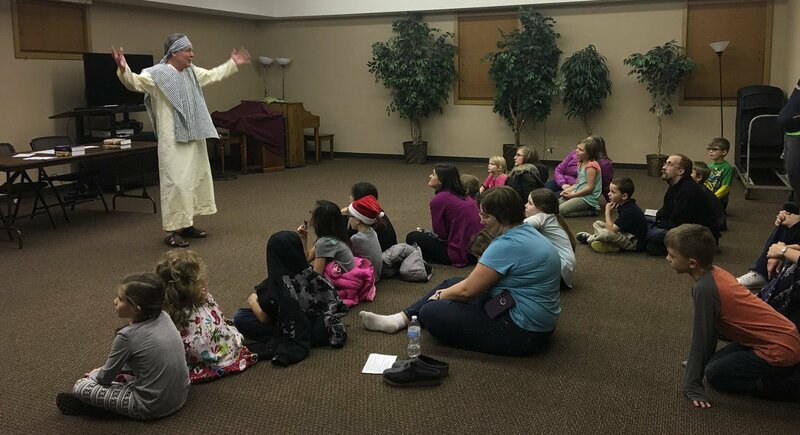 Elementary kids in Studio 252 participate in a large group time with singing and a Bible story they can apply to their life. After large group time, kids break up into small groups where they work through activities and build relationships with their peers and leaders. Wednesday Nights | Diner at 6 p.m. | Clubs at 6:30 to 8 p.m.
Cubbies love to play games, sing songs about Jesus, learn Bible verses, and hear Bible stories! Sparks get to connect with God through Bible stories, games, and small group time. The Truth and Training group learn about people in the Bible who showed incredible faith. True Heroes learn how to have a relationship with Jesus and are given opportunities to build relationships with Christian role models. We exist because we love teenagers.